When I was first tasked with evaluating the Otterbox® Reflex series case for the iPhone 4, my initial response was “how can one test a product designed to shield an expensive and sensitive piece of consumer electronics from neglect and abuse without putting that selfsame device in harm’s way?” Without boring the reader with tedious details of vectors and accelerometers and impulse sensitive capillary tubes, suffice it to say that one’s inner nerd was given free reign. All of my plans were to come to naught by the serendipitous occurrence of a cluster of concerts by a band spun off from the remnants of the Grateful Dead. Vowing to get right to work on designing tests that would permit me to qualitatively analyze the protective capabilities of the case, I installed the adhesive protective film on the front of my iPhone and slipped on the two pieces of the case. The film was no better or worse than any of the “dry” adhesive style films. If one has a steady hand and good eyesight, it is a relatively straightforward task to align the holes correctly and eliminate air bubbles leaving a clean smooth shield. If however, one has a tremulous hand and presbyopic or myopic vision, it can be quite challenging to achieve a satisfactory result. That being said, the two part shell is a really revolutionary design. In many single piece case designs, the pressure of the elastic material along the edges of the film causes the edge to pull away from the surface of the phone. 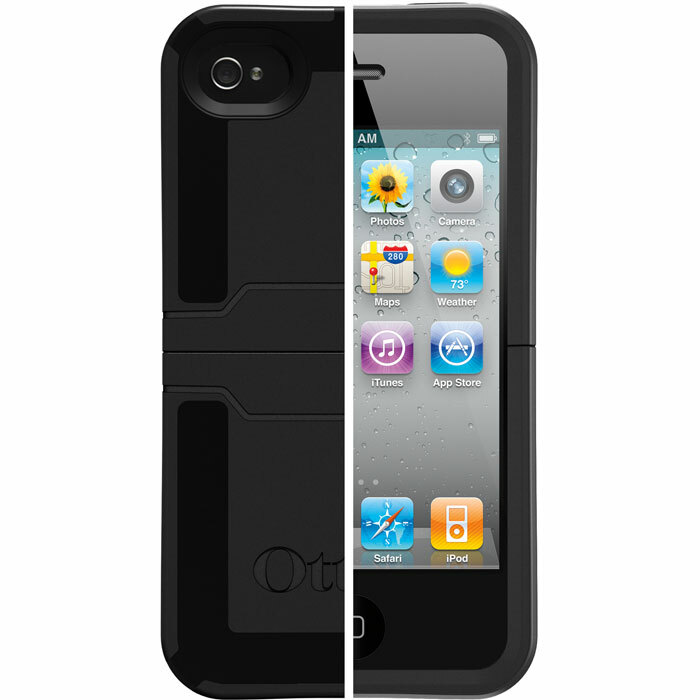 In the Otterbox® Reflex series case the hard molded material is not stretched or compressed and therefore imparts no upward force on the film’s edges; in fact, it actually protects and stabilizes the edges of the film making the adhesive more effective, and cosmetically concealing the evidence of a less than perfect installation. 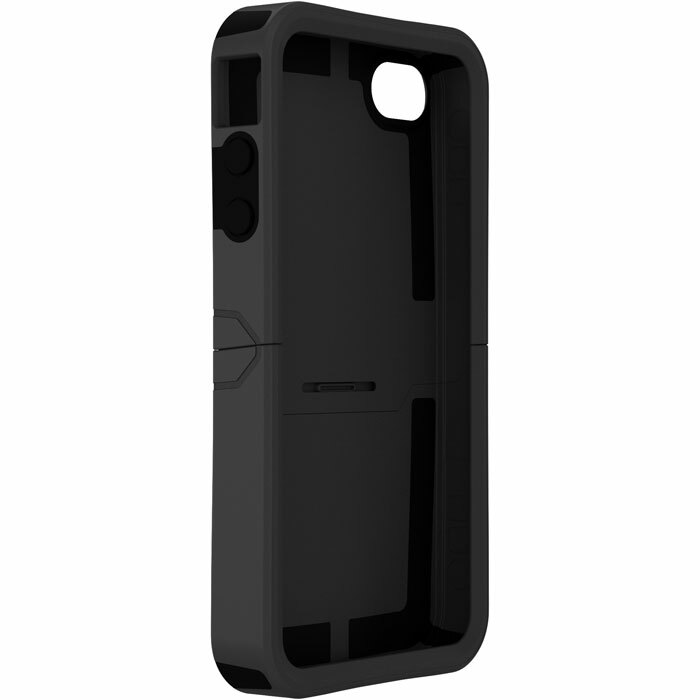 Another design feature of the case is the so called “reflex zone”. This is a layer of air surrounding the iPhone as it sits inside the loose fitting case. It is intended to function in the same manner as the “crumple zone” of a passenger car. These are expendable regions of the vehicle surrounding the highly reinforced passenger area. The kinetic energy associated with a collision is absorbed and deflected away from the passengers and driver. 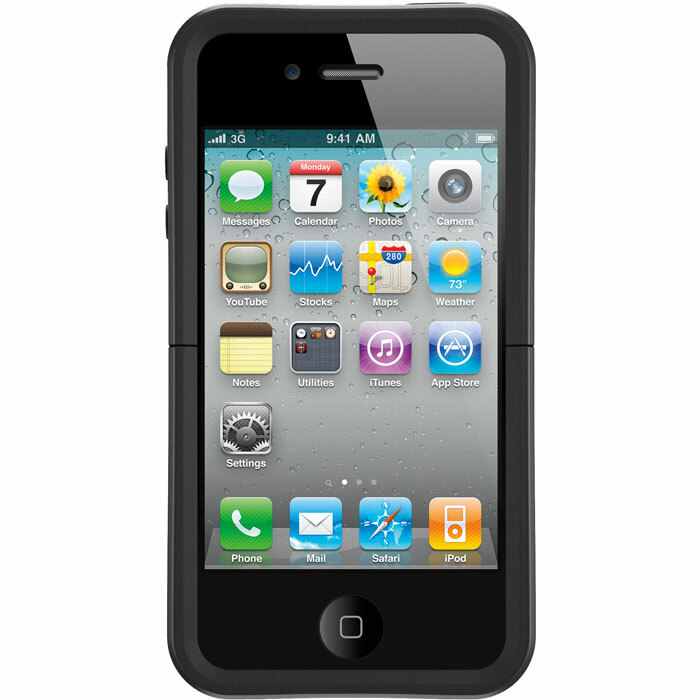 In the case of the Otterbox® Reflex series case, the passenger being protected is the iPhone 4 itself. 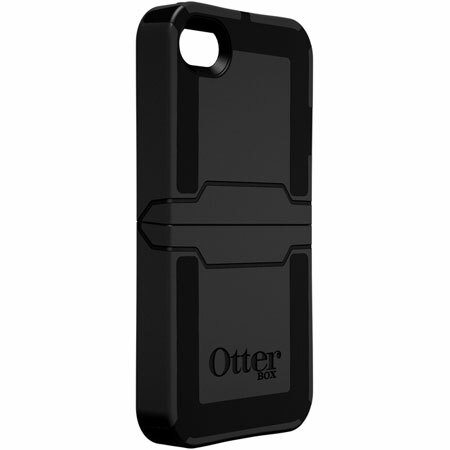 Otterbox has a video demonstrating this concept in action. I inadvertently replicated this demonstration in a field trail by bringing my Otterbox® protected phone with me when I went to a “Further” concert in a basketball arena with a concrete floor. Being genetically incapable of moderation, I consumed an intemperate quantity of excellent Irish whiskey and danced with blissful abandon until I realized that my phone had fallen out of my pocket. I searched with ever increasing panic and enlisted the aid of all of those around me. Thankfully, after a few minutes, I heard “Got it!” and “Heads up!” in rapid succession. I turned towards the direction of the sound and watched in stunned silence as my phone lazily tumbled end over end towards me. I caught it, but only briefly. It fell from my chest height, about 120 cm, to the concrete floor. It bounced a few times and landed right in front of me. When I frantically examined it I discovered… nothing. No damage; no broken screen; no problems of any kind save a sphincter clenching, heart stopping terror that the evidence of my eyes and hands failed to ameliorate. 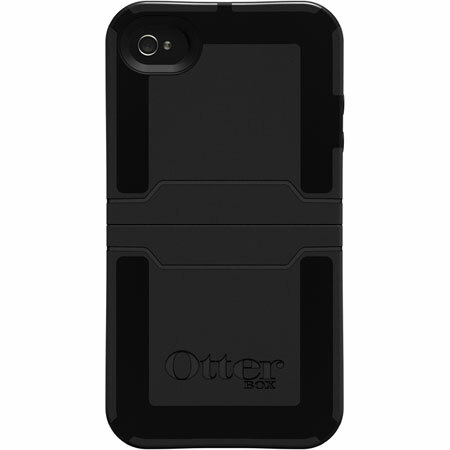 I am not saying the Otterbox® Reflex series case is the best in its class. I have had an inadequate opportunity to judge, but I can say this: If this case can protect an iPhone 4 from the ethanol befuddled hazards of a demented old hippy reprobate such as myself, it will render an iPhone 4 nearly invulnerable to the vicissitudes of life with a less dangerous steward. I would buy this is in a heartbeat.